Win a Beko Bean to Cup Coffee Machine, Kettle AND toaster. Last week we shared our tips and gadgets for a perfect family breakfast. I am pleased to say that we are able to offer one lucky reader the chance to win all three of these very handy Beko gadgets. That’s right – you could win a Beko Bean to Cup Coffee Machine, a Temperature Control Kettle and a Wide-Slice Toaster. These appliances are designed to take the stress out of breakfast time so that you too could be well on your way to achieving the perfect family breakfast. You can check out our full thoughts on all three gadgets here. In the meantime, here is a quick recap. 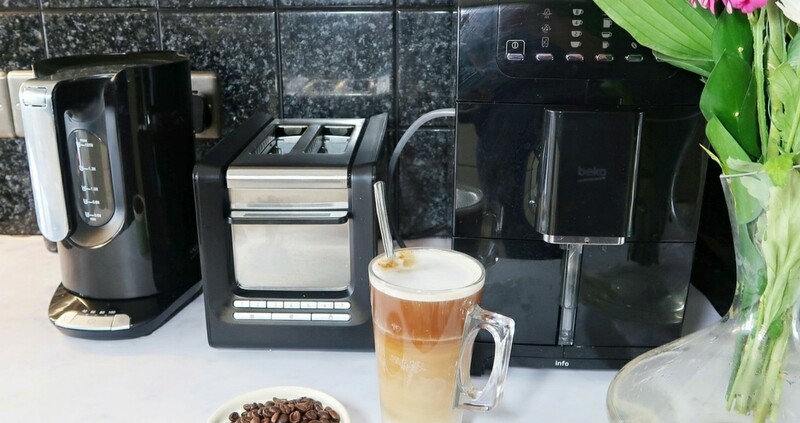 The Beko Bean to Cup Coffee Machine can take coffee grounds too. 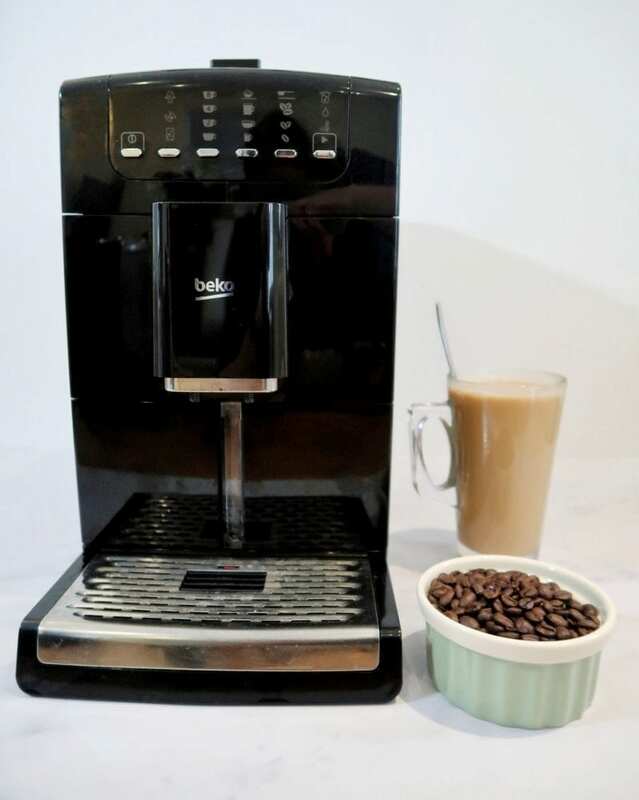 It gives proper, barista style coffee in all your favourite styles and it just as easy to use as a ‘pod’ coffee machine but with superior results. It is also self-cleaning. The automated cleaning programmes help you save time by rinsing and descaling the machine as well as cleaning the milk-frother. The Beko Temperature Control Kettle has a simmer function to keep water hot and can keep water at three different temperatures. This means you never need to drink a cold cup of tea of coffee ever again – every parent’s dream. 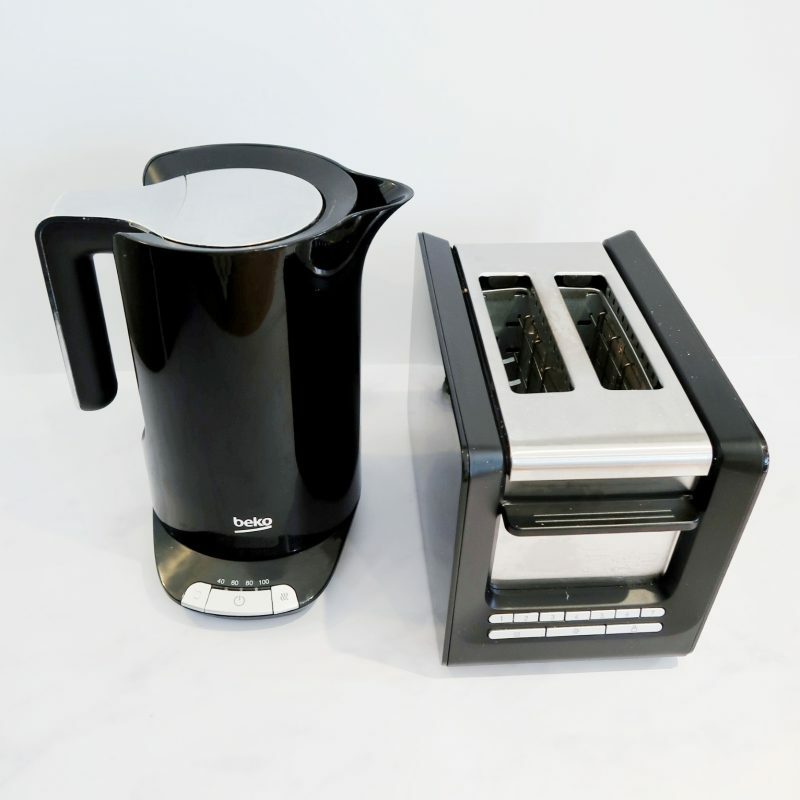 The Beko Wide Slice Toaster has wide slots to toast tricky items like crumpets. It also comes with a bun warmer for perfectly heated croissants. Also, the LED display and sleek design will mean it looks stylish in any kitchen. 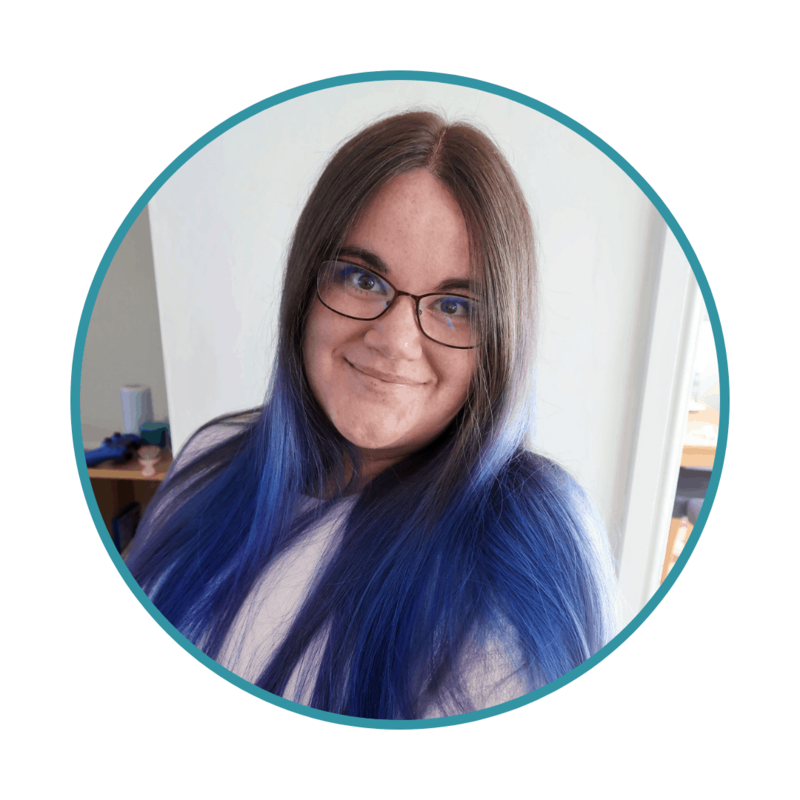 They are also available in the Rafflecopter widget. By entering this competition, an entrant is indicating his/her agreement to be bound by these terms and conditions. This post is in collaboration with Beko and some of the links are affiliate links. This means that if you click-through and buy we may earn a small commission. I love a cooked breakfast and a glass of orange juice. Thanks for this lovely giveaway. I love home made porridge with toast and jam and a latte! All of us together and no one having to hurry off. A nice relaxing start to a day…..well, I can dream can’t I? Coffee, toast, coffee, marmite, coffee. And coffee. A full English in the sunshine with all my family is my idea of a heavenly breakfast. My wife never has any! I have muesli in the summer and porridge with honey in the winter! All the family sitting together eating pancakes. Bacon sandwiches on white soft bread with brown sauce! Sunday breakfast – relaxed with time to make something different – pancakes, croissants, that extra cup of coffee. My perfect family breakfast would include pastries, pancakes and fresh fruit served with fresh, hot coffee for the adults and milk or juice for the children. I love stuffed omelette and a cup of coffee..
A bacon butty and a coffee – heaven! The whole family together including my Husband who is normally away with work. Full English Grill up and lots of laughter. A full English in the sunshine with all my family. I love a good fry up with extra crispy bacon! I love a good fry up with crispy bacon! The best breakfasts are on family holidays when we can all sit together. Family breakfasts are few and far between outside of holidays as we’re all on different time schedules. Full english breakfast, some pastries, some fresh juice and tea. Our perfect family breakfast would be coffee and fruit juice as well as cereals, yogurts, fruit and pastries laid out in the sunshine so everyone could help themselves. Our perfect family breakfast would be on a sunny balcony, full fry-up with fruit juice. Stress free, no rushing, all the time in the world with local ingredients and freshly brewed coffee! All round the table for a full English with volunteers to wash up afterwards. For me, the best meal of the day starts with a bowl of cornflakes, followed by a bacon sandwich and a big mug of tea. Full English breakfast, Lots of Coffee & no stress! Fruit, yogurt, croissants, coffee, juice, and lots of time to enjoy with my family. Muesli plus granola with plenty of fresh fruit on top (preferably strawberries). An all-time classic! Probably porridge with honey and that rarest of things, silence! My perfect family breakfast is french toast with scrambles eggs and a melon fruit salad. Some fresh pressed orange juice also. We only have it on someone’s birthday, because it’s naughty, but those sweet waffles lightly toasted and drenched in maple syrup!! Mmmmm. And we each have a glass of Innocent smoothie to drink with it. Our perfect breakfast is home made pancakes and smoothies, I love doing this on a Sunday morning. Bacon sandwiches with HP sauce. My mum’s Christmas breakfast of sausage sandwiches & Bucks Fizz! We have a lively discussion about politics over a sausage butty!! In peace and quiet! 🙂 A bonus if we are all up and having breakfast at the same time. Toast with jam and a piece of fruit with a strong coffee! Bacon, eggs, no work, no school and no fighting! A full english minus tomato and mushrooms, lovingly prepared by either my husband or the lovely staff at a cafe!! No dishes in the sink from the night before, quiet country music playing, freshly squeezed orange juice, strong black coffee and fresh French croissants dripping with New Zealand butter. Pancakes topped with tasty jam or eggs benedict if I’m feeling fancy! My partner makes the best pancakes 🥞 he treat an us every Saturday 😍 I love them with Canadian maple 🍁 syrup and powdered sugar. a breakfast with a bit of everything, fruit salad, patrie, bacon and pancakes, where we all it round the table and enjoy. A full English breakfast cooked by someone else! My perfect family breakfast would be just that… A family breakfast with all of us present. A full English would be on the table with lovely smelling coffee to top it off nicely! A full english breakfast with a big mug of tea! Sitting round the table.kids hopefully not squabbling.Enjoying fresh fruit,Porridge and toast.Whilst talking about our plans for the day. I am so not a morning person, howabout brunch instead, eggy bread, fruit juice and herbal tea. Yorkshire tea for others though. I love a semi healthy cooked breakfast with grilled mushroom, tomato, sauteed potatoes and beetroot, vegan sausages and scrambled tofu and a good quality freshly ground coffee! We all love poached egg on toast with a nice cuppa! My perfect family breakfast would be one which involved no fighting or squabbling between then children, and them eating something other than sugary cereal! wake up naturally to the smell of a delicious cooked breakfast, fried eggs, toast, juice, coffee and all the trimmings, AND I don’t have to wash up! A perfect family breakfast would consist of a big pot of tea and scrambled eggs and smoked salmon on toasted muffins. Croissants, scrambled egg, sausage, bacon, black pudding etc. Buttery toast and yorkshire tea, kids all sitting happily! Buckwheat porridge and fresh fruit. The perfect family breakfast would be where someone else cooks me bacon and scrambled eggs and makes me a bit cup of steaming coffee. All in silence!!! Hubby cooks me his special french toast & makes me a chocolate milshake. He actually does this for me a few times a year. Love having cold meats and cheeses with fresh bread or rolls. Everyone sitting and chatting together …..can go on into the morning so Best done at a w/e! Scrambled eggs, toast and smoothies with my boys, makes for the perfect start to the day. A perfect family breakfast is leisurely with lots of options; danishes, cereals and a cooked breakfast option to suit each of us. We try and have a couple of these more indulgent breakfasts a couple of times each month and it’s a great way to start a day (particularly on a weekend) – the children love them! Overnight oats with fruit, honey & yogurt. So easy to prepare the night before and the tastiest/healthiest/simplest breakfast I know! Full cooked breakfast, marmalade and toast and a good strong coffee to set me up for the day. My perfect family breakfast would be with my two girls and my husband in our local Harvester. All the family sat around the table eating toast, fresh fruit & warm pastries. With fresh juice & coffee to drink. If it’s lovely weather to be sitting in the garden enjoying it. My perfect family breakfasts are those when we are all together and have plenty of time to relax & enjoy the company as much as the food. It has to be a full English with decent coffee and tea and orange juice! My perfect family breakfast has to be a full English breakfast with fresh coffee and toast for everybody. Scrambled eggs on toast with beans with fresh orange juice and tea. Smoked salmon and scrambled eggs on a toasted muffin. There would be people there whom I’m missing a lot at the moment, and we would have buttered toast, fruit juice and coffee and whatever else they fancied. Toast with homemade jam and strong breakfast tea. In the summertime outside at the table, coffee and pastries for me, orange juice and cereal for the kids and tea and full English for my husband. Sausages, Bacon, Egg, Black Pudding, Beans, Hash Brown and Fried Bread, enough said!!! I love a full cooked breakfast but with a bit of halloumi too 🙂 and a pot of tea to share too! My perfect family breakfast would be us all sat round the table with each having our own choice of food, but I would choose crispy bacon, runny poached eggs, beans and garlic mushrooms. 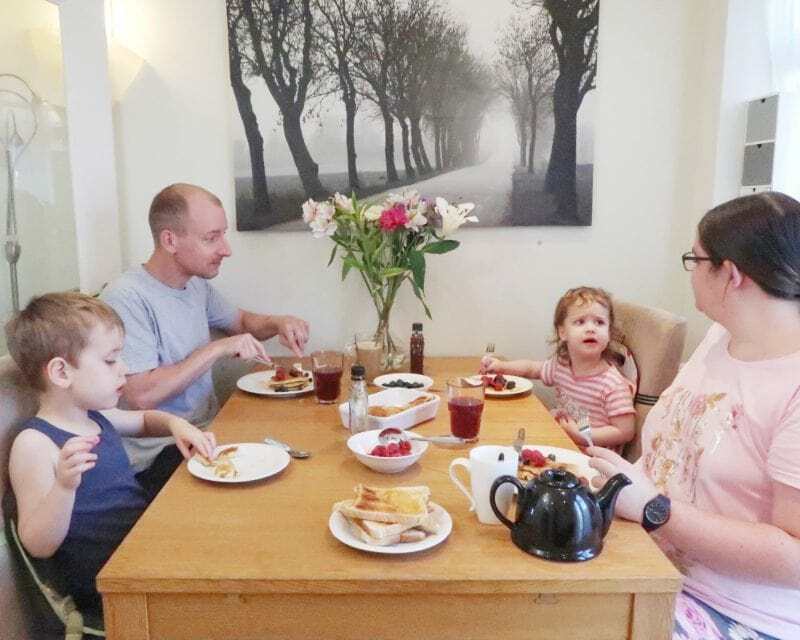 We only have perfect family breakfasts one day a week and it is when we can all sit down together and eat rather than us all rushing round and me most of the time eating standing up! I love poached egg on wholemeal toast with a sprinkle of Black pepper and a big mug of coffee. Muesli or granola with fresh frui picked from the garden – today it is blueberries, blackberries and raspberries. I love a good continental breakfast, lots of pastries and fruit. Of course, no good without a proper coffee. During the week it’s a black coffee and a ciggie. and on the weekend it’s granola with yoghurt and fruit or wholemeal toast and avocado and a Bloody Mary. Vegan fry up with scrambled tofu, ‘eggy’ bread, veggie sausages, beans and grilled tomatoes. We absolutely love pancakes, such a special treat for breakfast, with a choice of toppings! A full English breakfast with all the works! A simple bowl of Readybrek. Mmmm. Full English breakfast in a hotel with no cooking or cleaning up after. The PERFECT family breakfast would be the big , but hectic family holiday fry up , though don’t think I would want that repeated throughout the year . Sunday morning lie in, followed by family breakfast with freshly squeezed orange juice and pancakes with fresh berries! Perfect breakfast….someone to make for me pancakes, with bacon and maple syrup with a fresh pineapple juice and of course someone to clean up the dishes for me! Round the kitchen table with cereals and croissants. Bacon and egg butty. It’s a Saturday treat in our house. Sausage sandwiches in bed with the kids! Sausage sandwiches are the perfect breakfast for our family it’s something that both kids eat!! For me the perfect family breakfast would just be to have the family eat together around the table! Freshly brewed coffee and crumpets with proper butter!! After 8am, family all together with a personal chef! Sat outside in the sun looking out over the ocean. All breakfast foods that you can think of! Our perfect breakfast would be home-made american pancakes, crispy bacon, maple syrup, and proper coffee. Tomatoes and mushrooms on toast, with scrambled eggs for the egg-eaters. Toast with Cheese, Yoghurt with Coffee and more Coffee – starts the day off perfectly! All sat together enjoying warm croissants and hot coffee. Perfect family breakfast is fresh pancakes everyone likes different toppings. So I just stack them and they top them as they like! My favourite is nutella and strawberries. Orange juice is a must . A shot of vitamin c to start the day! Our perfect family breakfast would be my husband, myself and our 2 daughters sat at the kitchen table, enjoying home-made pancakes and maple syrup and some scrumptious French pastries, with orange juice for the girls and lovely strong freshly made coffee for me and my husband. A gentle background tune on the radio, all the family sitting around the table and a full english breakfast with plenty of strong tea and hot buttered toast! Sorry! I just entered the tweet for the gas safety / voucher comp, when I meant to say yes, I’ve just entered that comp. We must get our boiler serviced. All of the family sitting together eating American Blueberry pancakes. Oh with my three kids a stress free morning with us all at the table at the same time with egg and toast and strong coffee for me. All sitting around the table together talking about our week with a good selection in front of us and empty plates at the end. A stress free breakfast with my daughter actually eating quickly!! The perfect family breakfast is when we all sit together. And food has to be a cooked breakfast of eggs, bacon, sausage, beans/tomatoes and toast. One that involves enough for all of us to sit down together and eat a hot cooked breakfast (never happens). Our biggest treat for breakfast is going to a nice cafe/deli and getting a full English with a decent coffee. Nothing nicer than not having to cook and clean up afterwards. A lie in ( 😭) cuddles and then making cinnamon sugar sprinkled french toast and a steaming cafetiere of coffee is a pretty perfect family breakfast for us! All of us together sat round the kitchen table eating crumpets spread with chocolate spread or lemon curd. My perfect family breakfast is when our daughter, her husband & our granddaughter come to stay with us, and my husband cooks breakfast for all of us. It doesn’t matter that he has to make different dishes for everyone, it’s just great to be with them. Well it would be, if I could eat it, croissants, jam and coffee, but as I have to have gluten free I have a bowl of sugar and gluten free cornflakes, soya milk, banana and nuts and seeds. Mine would be smashed avocado on wholemeal toast . Topped with a perfect runny poached egg and grilled tomatoes . Served with fresh coffee…bliss ! My perfect family breakfast would be in a swish hotel with somebody else to do the cooking and washing-up (& with someone else paying for it!!). During holidays, when not got time restraints. A full English breakfast ate at our own pace. Sets us up for a day outdoors e.g. Exploring a new area, new venue, play park etc.